We are the United Steelworkers, North America’s largest industrial union. We’re 1.2 million members and retirees strong in the United States, Canada and the Caribbean. 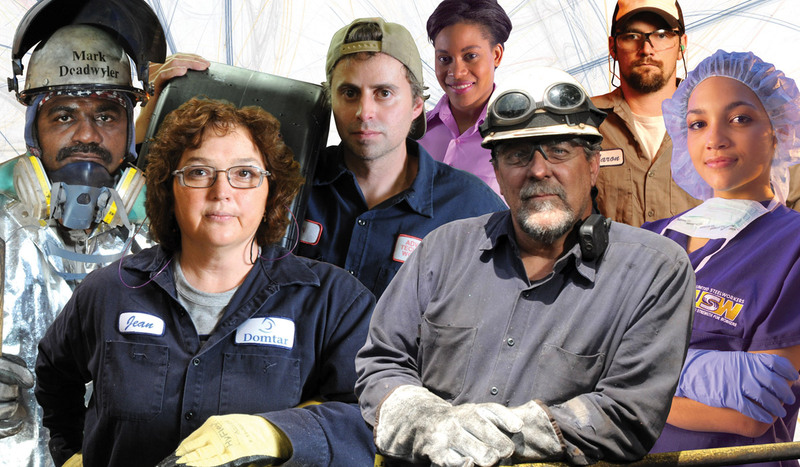 We proudly represent men and women who work in nearly every industry there is. Our members are leaders in your communities, in your work places, in our governments and more. We have a presence in the United Kingdom, Ireland, England, Scotland, Mexico and many other places around the world. Because since the beginning of our being, we have been fighting for better workplaces, better lives for everyone and a better world.